SEL can help school districts advance equity by cultivating adult and student practices that close opportunity gaps and create more inclusive school communities. Social and emotional learning can be a powerful lever for creating caring, just, inclusive, and healthy communities that support all individuals in reaching their fullest potential. Systemic implementation of SEL both fosters and depends upon an equitable learning environment, where all students and adults feel respected, valued and affirmed in their individual interests, talents, social identities, cultural values, and backgrounds. While SEL alone will not solve longstanding and deep-seated inequities in the education system, it can help school districts promote understanding, examine biases, reflect on and address the impact of racism, build cross-cultural relationships, and cultivate adult and student practices that close opportunity gaps and create more inclusive school communities. In doing so, districts can promote high-quality educational opportunities and outcomes for all students, irrespective of race, socioeconomic status, gender, sexual orientation, and other differences. This requires that SEL is implemented with an explicit goal of promoting educational equity. SEL is relevant in all schools and for all students and affirms diverse cultures and backgrounds. All students bring to school their identities, strengths, values, lived experiences, and culture. SEL does not seek to have students conform to the values and preferences of the dominant culture but uplifts the assets of diverse individuals and communities. What it looks like: Districts use SEL as a framework to examine the importance of the range of adult and student identities and assets, reflect on and appreciate diversity, and foster inclusive environments. Districts guide schools in adopting evidence-based programs and practices that are culturally-affirming and relevant to their communities and needs. SEL is a strategy for systemic change, not an intervention for at-risk students. Systemic SEL is a coordinating framework that drives change at the systems-level, rather than a strategy for changing problematic mindsets or behaviors. What it looks like: The focus of implementation is on creating the conditions that promote social and emotional growth for all students, including trusting relationships, welcoming learning environments, consistent routines, engaging teaching strategies, culturally-relevant practices and authentic family and community partnerships. SEL is a way to uplift student voice and promote agency and civic engagement, not a behavior management strategy for control and order. While one outcome of systemic SEL is improved student behaviors and fewer disciplinary issues (Durlak et al, 2011), the ultimate goal is to build skills and competencies that empower students to navigate the world and become active citizens in multicultural societies. This occurs when SEL positions young people “as experts in understanding and fashioning a world that is more just and equitable” (Jagers, 2016, p. 3). 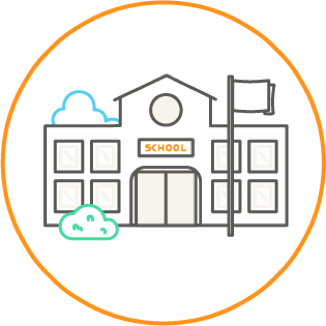 What it looks like: All students have developmentally-appropriate opportunities to engage in discussions with each other, raise problems and identify solutions in their schools and communities, productively challenge the inequities that they see, have a voice in how the school district operates, and take on authentic leadership roles. SEL supports adults in strengthening practices that promote equity. SEL also offers a way for districts to examine how their own policies and practices may impact equity, and acknowledge and address the larger impact that systemic and individual bias, racism or oppression may have on the lives of their students. What it looks like: Adults reflect on their own identities, assets, and biases, and engage in culturally-relevant practices and conversations around equity. District staff examine disaggregated data, analyze root causes of disparities, and engage various stakeholders to co-develop policies and practices that support equity. Districts must engage students, families, and communities as authentic partners in social and emotional development. The relationships between a district and school staff, students, families, and communities are at the core of systemic SEL. In order for SEL to affirm the assets of children from diverse backgrounds, schools need to understand the cultures, lived experiences, and values of families and communities, and all students need to feel ownership over their own social and emotional development. What it looks like: Students, families and community partners are active partners in the planning and implementation of SEL and play a role in district decision-making. All students have frequent opportunities to share their perspectives and feedback. In the CASEL District Framework, equity is woven throughout the approach to implementation. As you engage in systemic SEL implementation, we encourage you to continuously center this work around equity and leverage SEL to create communities where all students can use their talents and interests to realize their fullest potential. This worksheet is intended to promote reflection on beliefs and actions that shape how your district leverages SEL to advance educational equity.